Yesterday, Australian entrepreneur Craig Wright announced that he was the elusive creator of Bitcoin. His proclamation was immediately met with an avalanche of suspicion, with one prominent cryptography expert describing it as “flimflam and hokum.” Now, through a spokesman, Wright has promised that further proof for his claims is coming. 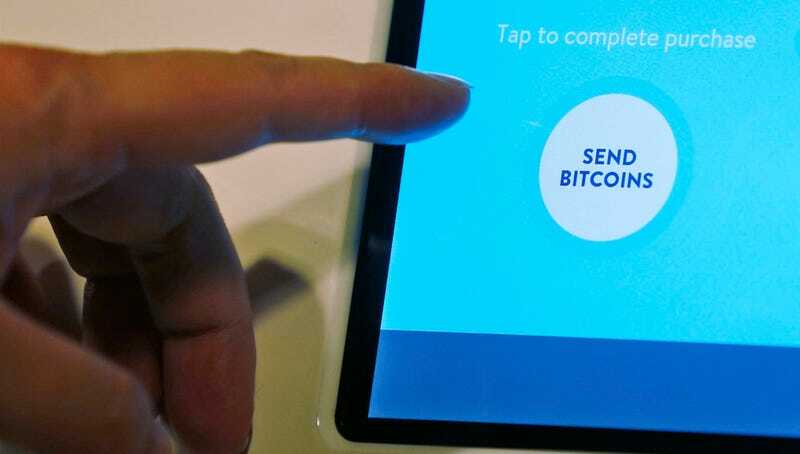 The spokesman told the BBC that Wright would “move a coin from an early block” of Bitcoin inventor Satoshi Nakamoto’s “in the coming days.” The spokesman didn’t provide a more specific timeline. Moving Satoshi Nakamoto’s bitcoin has been put forth before as a more concrete method for Wright to prove his real identity. The coins, which are now worth around $400 million, have never been moved; if Wright really is bitcoin’s inventor, he should presumably have the ability to control them. While there has been a smattering of support for Wright from prominent members of the Bitcoin community, such as Gavin Andresen, the chief scientist of the Bitcoin Foundation, others have been more suspicious. Indeed, as Gizmodo reported yesterday, audience members at a large bitcoin conference in New York yesterday broke out in applause when panel member Vitalik Buterin questioned the validity of Wright’s claims. The true identity of Satoshi Nakamoto has long been a central question in the Bitcoin genesis story, but it has never been definitively proven. If Wright is in fact able to move Satoshi’s bitcoin, it may finally close the book on the mystery. In his initial blog post, Wright noted that “Satoshi is dead... but this is only the beginning.” He also said that he would follow up with a more detailed mathematical explanation for the revelation. Now, the world will likely have to wait for “the coming days”—however long that may be—for more clues.